The Italians know how to do ice cream. Somehow the word gelato does not sound fattening, so it seemed perfectly fine to succumb to all the seductive flavors. It was hot and we walked miles, so gelato was a perfect treat. It is everywhere and everyone is eating it. 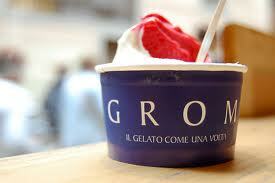 The choices were amazing and Grom was by far the winner! 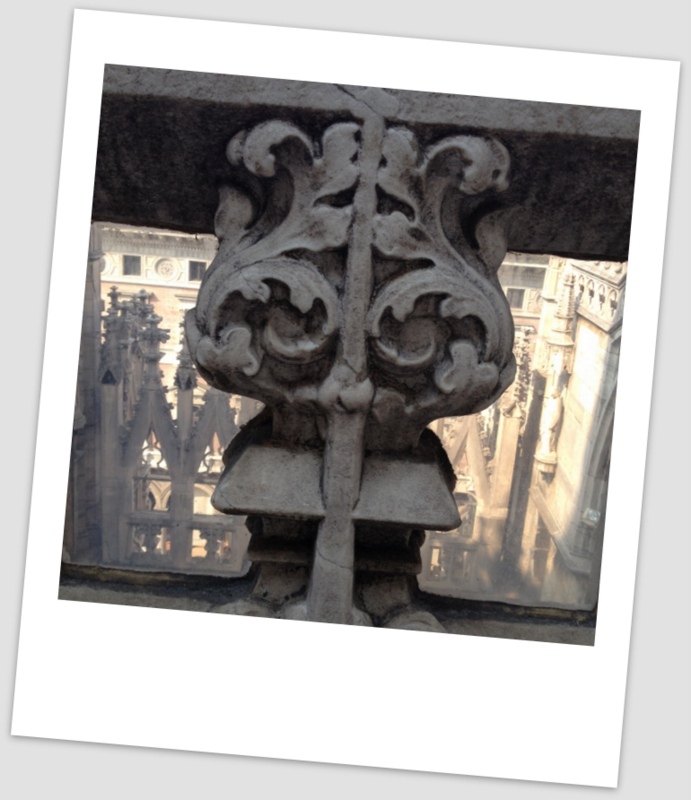 Located very near the Duomo, there is always a line, but so worth it. I am quite sure, standing in line, equates to exercise, so it all worked! I am hoping to find a wonderful sorbet or ice cream without all the sugar that tastes good. Any recipes to share out there? My official taste tester. Someone has to do it! 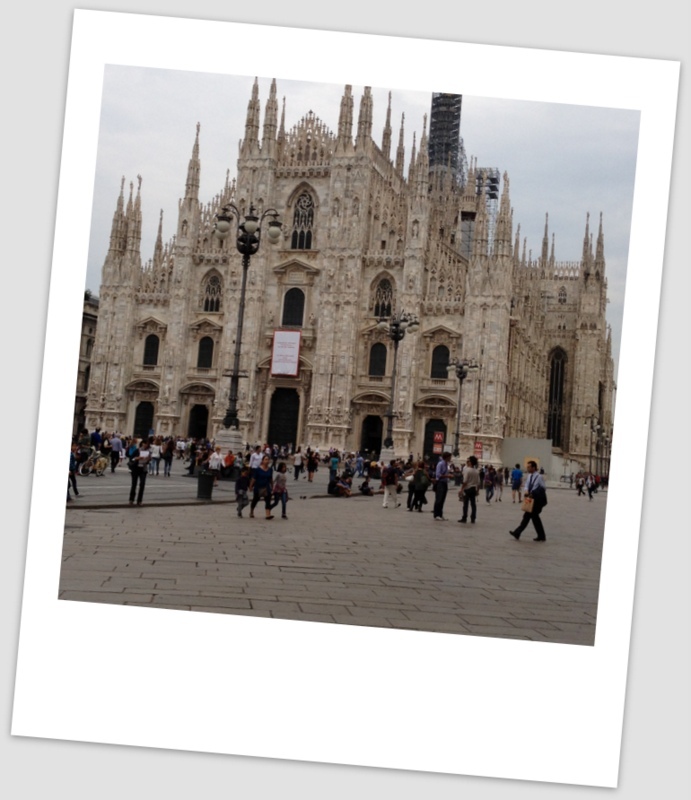 The Duomo in Milan was spectacular. A friend told me that being on the rooftop reminded her of being in a sand castle. Such a great description! 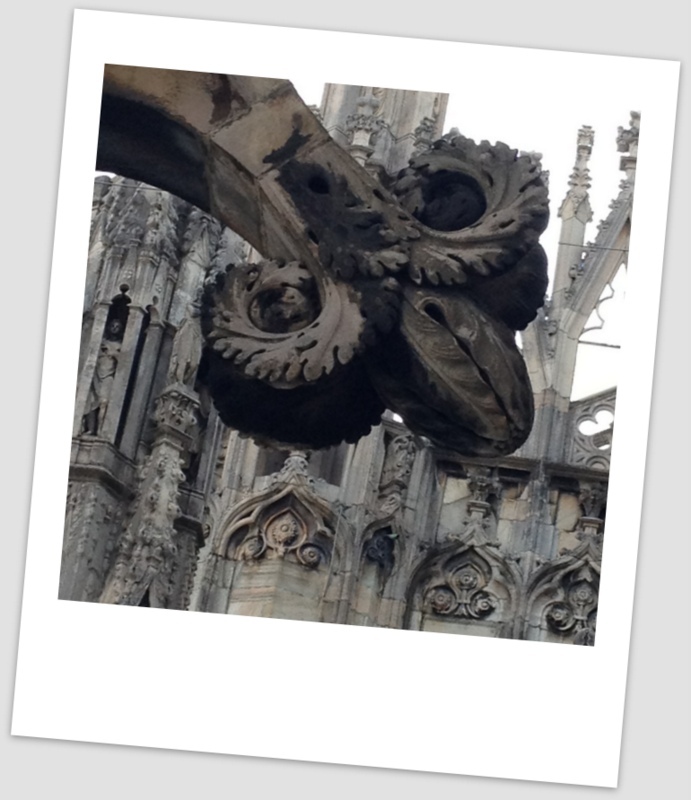 Located in the very center of Milan this cathedrals construction began in 1386 and continued until 1813. 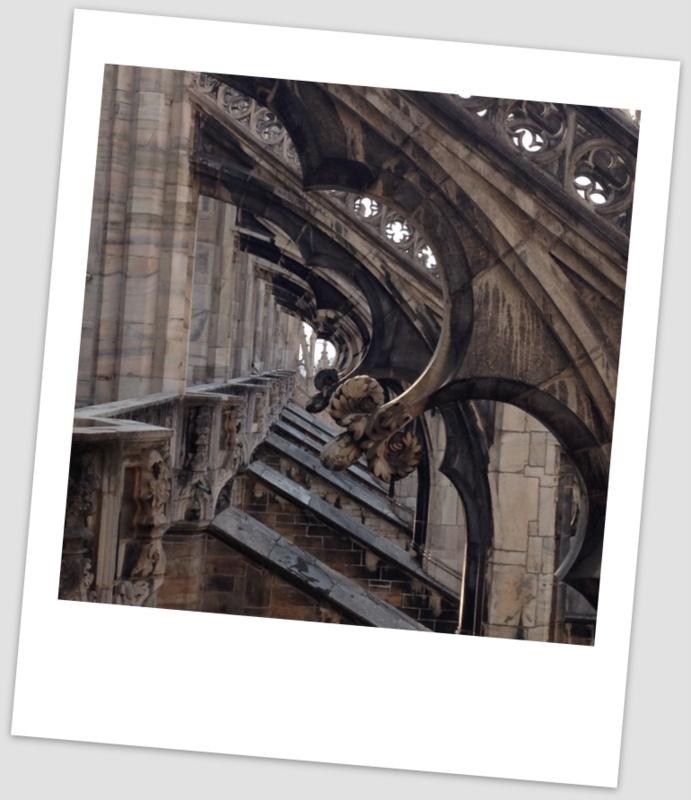 Below are photos taken from a rooftop tour of the Duomo.